Adams, James. Trading in Death. Weapons, Warfare and The Modern Arms Race. London. Hutchinson. 1990. 308 pps. Octavo. Hardcover. First edition. Illustrated. Fine copy in fine dust jacket (in mylar). Adams, Les. The Second Amendment Primer. A Citizen's Guidebook to the History, Sources, and Authorities for the Constitutional Guarantee of the Right to Keep and Bear Arms. Photo available. Birmingham. Palladium Press. 1996. Octavo. Gilt decorated hardcover. Gilt edges. Leather. First edition thus. Fine copy. Adenauer, Dr. Konrad. Germany Reports. np. Wiesbadener. 1955. Octavo. Soft cover. First edition. Illustrated. Very good copy. Light shelf wear. Adkins, Roy. Nelson's Trafalgar. The Battle that Changed the World. New York. Viking Press. 2004. Octavo. Hard cover. First edition. Illustrated. Fine copy in fine dust jacket (in mylar). Adkins, Roy. 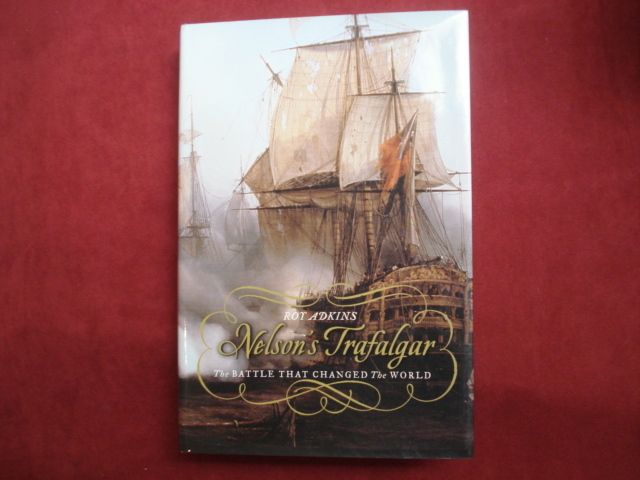 Nelson's Trafalgar. The Battle that Changed the World. Photo available. New York. Viking Press. 2005. Octavo. Hard cover. First edition. Illustrated. Fine copy in fine dust jacket (in mylar). Adler, Bill (ed). The Stevenson Wit. New York. Doubleday and Co. 1966. 96 pps. Octavo. Hardcover. First edition. Fine copy (book plate) in fine dust jacket (in mylar). Adler, Selig. The War-Guilt Question and American Disillusionment, 1918-1928. Signed by the author. Photo available. np. Journal of Modern History. 1951. Octavo. Soft cover. Reprint. Signed by the author. Near fine copy (very light shelf wear, marginal marks. Agnew, Julie (ed). 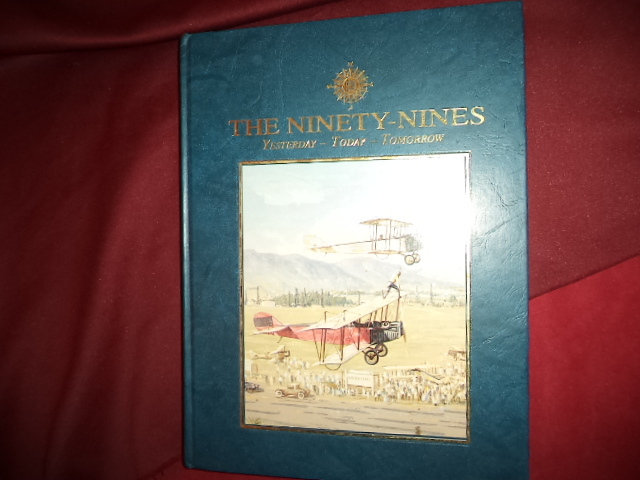 The Ninety-Nines. Yesterday - Today - Tomorrow. Photo available. Pudacuh. Turner Pub. 1996. 364 pps. 4to. Decorated hard cover. First edition. Illustrated. Important reference work. Fine copy. Ailsby, Christopher. 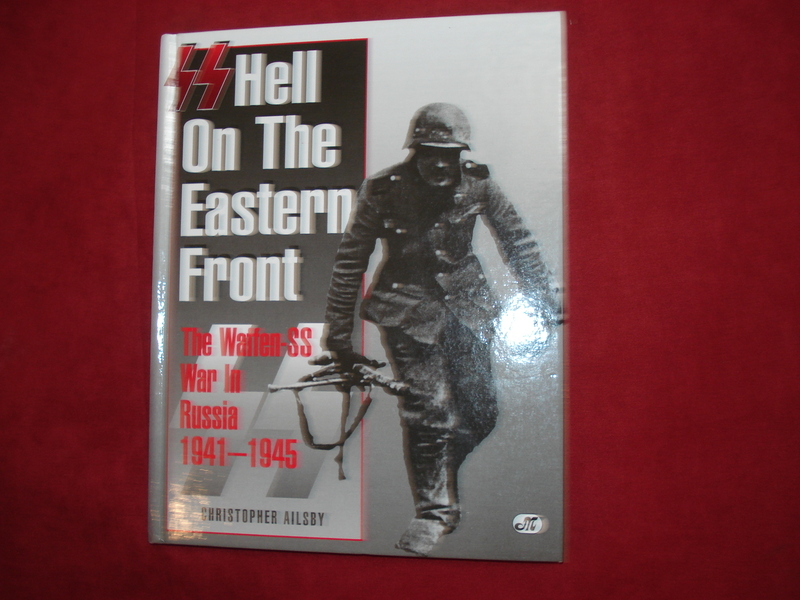 Hell on the Eastern Front. The Waffen-SS War in Russia. 1941-1945. Photo available. Osceola. MBI. 1998. Octavo. Hard cover. First edition. Illustrated. Fine copy. Ailsby, Christopher. SS. Hell On the Eastern Front. The Waffen-SS War in Russia. 1941-1945. Osceola. MBI. 1998. Octavo. Hard cover. First edition. Illustrated. Fine copy (owner blind stamp) in fine dust jacket (in mylar). Ailsby, Christopher. Waffen-SS. Hitler's Black Guard at War. Clifton. Siena. 1997. 4to. Hard cover. First edition. Illustrated in black, white and color. Fine copy (owner blind stamp) in fine dust jacket (in mylar). Ainsworth, Brig. Gen. Fred C. et al. 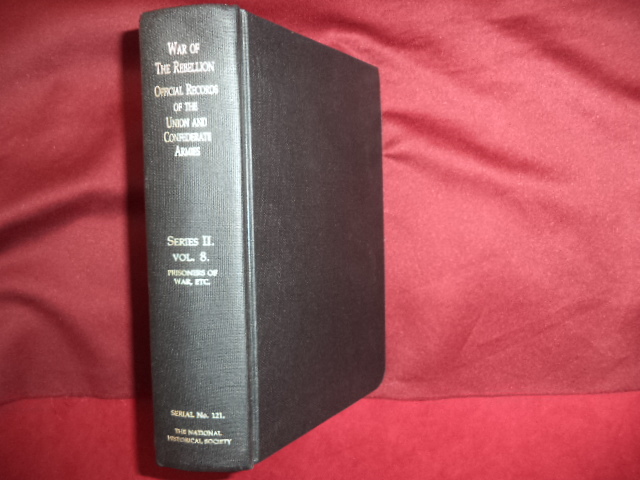 The War of the Rebellion: A Compilation of the Official Records of the Union and Confederate Armies. Series I - Volume XIII. Prisoners of War, Etc. Photo available. [Washington] Harrisburg. [Government Printing Office] The National Historical Society. 1971. 1060 pps. Octavo. Hardcover. Reprint. Important reference work. Fine copy. Al-Fatih, Zuhdi. The Jew in Review. Prepared by ... and published November, 1972 Under the title The Jews Photo available. Hawthorne. Liberty Bell. 1977. 197 pps. Octavo. Soft cover. First edition. Fine copy. al-Khalil, Samir. Republic of Fear. The Inside Story of Saddam's Iraq. New York. Pantheon. 1990. 310 pps. Octavo. Soft cover. Reprint. Fine copy. Alberini, Massimo. A Treasury of Model Soldiers. Armies in Miniature. New York. Crescent. 1972. 4to. Hard cover. First edition. Illustrated in black, white and color. Fine copy. Albion, Robert. 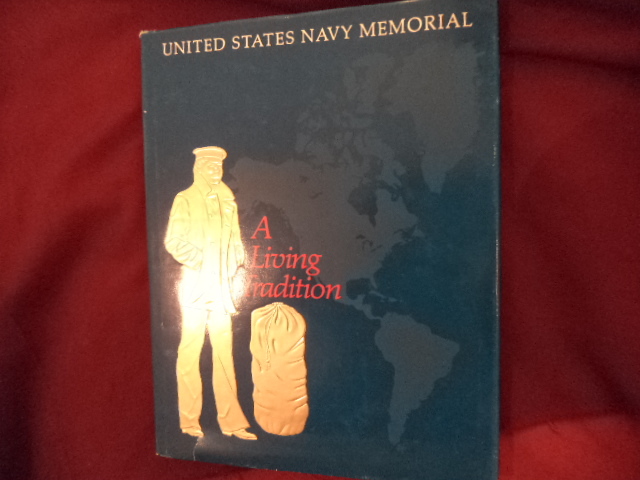 Naval & Maritime History. An Annotated Bibliography. Mystic. Marine Historical Assoc. 1963. 230 pps. Octavo. Soft cover. Revised edition. Fine copy. Owner name. Albough, William III. Confederate Arms. New York. Bonanza Books. 1957. 4to. Hardcover. Reprint. Illustrated. Fine copy in fine dust jacket (in mylar). Albright, Harry. Pearl Harbor. Japan's Fatal Blunder. The True Story Behind Japan's Attack on December 7, 1941. New York. Hippocrene. 1988. Octavo. Hard cover. First edition. Fine copy (owner blind stamp) in fine dust jacket (in mylar). Alexander, Bevin. Lost Victories. The Military Genius of Stonewall Jackson. Edison. Blue & Grey. 1996. Octavo. Hard cover. First edition thus. Fine copy in fine dust jacket (in mylar). Alexander, Earl. The Memoirs of Field-Marshal Earl Alexander of Tunis. 1940 : 1945. London. Callell. 1962. Octavo. Hard cover. First edition. 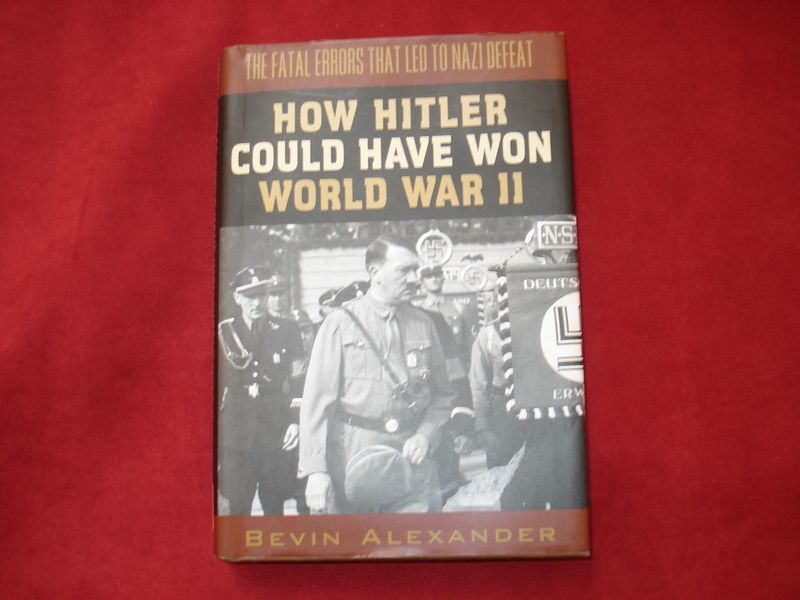 Fine copy (blind stamp) in very good (light shelf wear) dust jacket (in mylar). Alexander, Holmes. To Covet Honor. A Biography of Alexander Hamilton. Belmont. Western Islands. 1977. 473 pps. Octavo. Hardcover. First edition. Fine copy in fine dust jacket (in mylar). Alexander, Jesse. P-38 Lighting. Restoring a Classic American Warbird. Osceola. Motorbooks. 1990. 4to. Hard cover. First edition. Illustrated in black, white and color. Fine copy in fine dust jacket (in mylar). Alexander, Robert J. The Right Opposition. The Lovestoneites and the International Communist Opposition of the 1930s. Westport. Greenwood Press. 1981. Octavo. Hardcover. First edition. Fine copy.